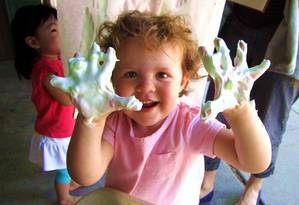 For more than 60 years, the Menlo-Atherton Cooperative Nursery School has combined play-based learning with extensive parental involvement to create a loving, caring community of adults and children. Our school is a non-profit organization and welcomes contributions from our community to help us meet our operating costs and continue to provide a nurturing and enriching environment for our students. Your tax-deductible gifts help cover operating expenses, curriculum development, the replacement of outdated classroom equipment and materials, and scholarships for families who would otherwise be unable to attend our school. The Menlo-Atherton Cooperative Nursery School is a 501(c)(3) non-profit organization and your donations are tax-deductible. Current parents can sign in to view class pages, calendars, announcements, and more.